What Is Meals On Wheels Delaware? Meals On Wheels Delaware provides diverse opportunities for individuals, groups and organizations to make a financial or volunteer contribution that has a meaningful impact on the lives of homebound senior Delawareans. We are a non-profit organization focused on ensuring that everyone in Delaware who requests help with a home delivered meal is able to receive the nutritional support they need, when they need it. 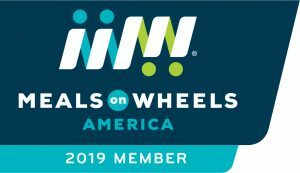 We strive every day to raise funds and awareness to support the local Meals On Wheels programs that are delivering a difference to 4,360 of our homebound neighbors. Meals on Wheels recipients are women and men, aged 60 and over, who often live alone. The average age is in their late 70’s. Many are struggling to balance their needs on a fixed income, and are unable to shop or safely prepare a hot meal for themselves. Some require help when recovering from a hospital stay, but for most the meals are a long term lifeline. Overwhelmingly, seniors who receive meals at home say a daily meal makes them eat healthier, feel more safe and secure, and remain comfortable to live at home. The nutritious meal, friendly volunteer visit, and safety check help our seniors cope with three of the biggest threats of aging: hunger, isolation, and loss of independence. Meals On Wheels Delaware raises private funds for allocation to member agencies with meal-delivery programs. By providing both financial and human resources, we will ensure uninterrupted delivery of meals to senior Delawareans in the comfort of their home.